In this post, I am going to show you how to make a pencil skirt. Drafting the pencil skirt pattern repeats many of the steps we followed to make the basic straight skirt. If you already know how to draft the straight skirt, you can scroll down to the end of this post. There are the adjustments made to the hemline that actually differ a straight from a pencil skirt. If you’ve already drafted the basic skirt pattern, you can simply make the changes described below and then trace out the new pattern using tracing paper. If you don’t have a basic skirt pattern, here is how to draft the pencil skirt from scratch. For the pencil skirt, we are going to need the waist, hips, waist to hips (hip depth) and overall length. We are also going to need the circumference at the hemline. Measure the smallest part of the waist. Measure at the widest part of the hips. If you have a bigger belly, you should measure the circumference of your hips through the lower part of the abdominals (as shown on B on the right). This is the distance between the waist and the widest part of the hips you just measured. Measure the overall length of the skirt on the outer leg. Start from the waist and measure down as long as you want the skirt to finish. This measurement is a bit tricky. It’s because it widely depends on your preferences regarding the fit. If you want the pencil skirt really fitted at the hemline, take the measurements around the knees, or calves, tights (where your hemline is). Then subtract this measurement from the hip measurement in order to find out how much you need to take in at the hemline. Divide that measurement by 4 because you are going to work on ¼ front and back pattern. You might want to add a couple of inches for ease of movement. This depends on the fabric you are working with and the fit you want to achieve. There is no exact number here. Here is a post on sewing ease you might find useful. Start building the rectangle ABCD where A to B is ½ the hips circumference and A to D and B to C is the length of the skirt (figure 1). You can draw AD and BC with a dotted line because they represent the centerfold of the front and back sloper. Starting from points A and B, measure down and apply the hip depth. Mark the hip line with a dotted H1-H2 line. Measure the middle between A and B and mark with 1. Measure the middle between C and D and mark with 2. Mark point 3 where the line crosses the hip line. Mark the front and the back pattern piece, because we are going to make different darts (figure 2). Darts are adjustable, but usually, the back dart is longer. That’s why I would draft them differently and adjust if needed later when fitting the pattern. That would be the only difference between front and back for that basic pencil skirt. Other pattern elements (like zipper fly, slit, waistband and/ or facing) can be added later. Next, mark the center front and center back folds and the position of the darts. Connect 4 with 5 and 6 with 7. Those two new lines mark the position of the darts. Next, mark the position of the dart legs and the dart length. As in the example above, we mark 1/2 inch (1.2 cms) in both directions of points 5 and 7 and mark the dark legs. Mark the waist. Starting at A, measure 1/4 waist + 1 inch (2.5 cms) for the dart and mark. Do the same starting at B towards 1. Starting at those two new marks, measure 3/4 inches (2 cms) straight up and mark with X (figure2). Next, we need to shape the skirt at the hemline (line D-C). How wide the skirt is going to be at the hem depends on your measurements (circumference at the hemline) and preferences. In most cases, the amount to take in is ⅝ to 1 ⅕ inches (1,5 – 3 cm) on each side. If you go beyond that, you might restrict movement too much. That’s why I would go up to 1 ⅕ inches (3 cm) and narrow more at the fitting if necessary. Starting from point 2, measure ¼ the distance you want to take in on the hem line towards points C and put a mark. We use ¼ because we are working on ¼ of the pattern. Repeat with back detail starting from point 2 towards point D.
Make sure to divide the amount you want to take in evenly between the front and the back. Otherwise, the side seams are going to twist towards the front or back. Starting at the X marks above the waistline, draw curves that end at the hip line at point 3 (figure 4). Draw straight lines from point 3 down the rectangle until you reach the X points at the hemline. Conect one X point at the hemline with C and the other X point with D.
Repeat the dashed lines A-D and B-C.
Connect A and B with the inner dart legs. Finish the outline if the pattern by connecting each X point above the waistline with the outer dart legs. Keep in mind that for woven fabrics you most probably are going to need a slit at the back (or front, side) to compensate for the restricted movement (see 1 and 2 on the image below). In my How to draft a basic skirt post, I wrote about how to add a slit to the pattern. There you can also find how to add seam and hem allowance , as well as wearing ease, facing or waistband. course is very comprehensive and goes over different pattern elements like slits, pockets and darts manipulation not only for the skirt pattern but also the pants and bodice patterns. First time users at Burda Academy get 20% off with a coupon code Learn2Sew. 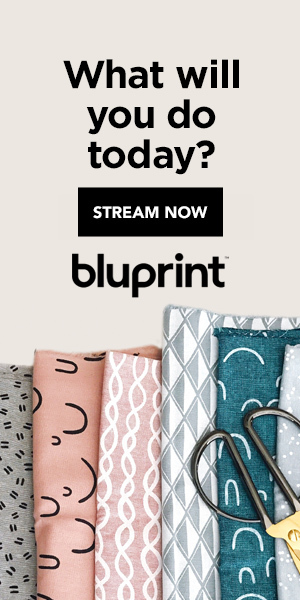 Another good course on skirts that goes over the basics and beyond is Bluprint (Craftsy)’s Patternmaking Basics: The Skirt Sloper. If you are making a pencil skirt pattern for knitted fabrics, a slit is usually unnecessary and so are darts (image 3 above). But drafting the skirt pattern for knit fabrics is a topic for a future post that I am hoping to get to soon. Until then, you might check another recource on Pattern Drafting and Designing for Stretch Fabrics at BurdaStyle Academy.